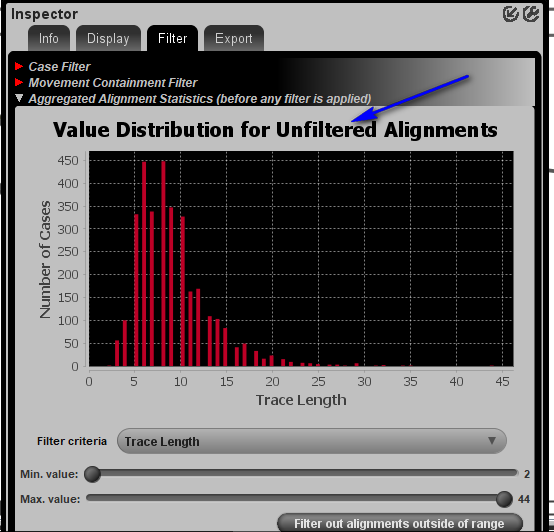 Hi, i'm a litle bit confusion aboute the title Value "distribution for unfiltered alignments" from conformance plugin. When I use filter criteria they generate a distribution graph, but why the title is unfiltered? I think that if i'm using a filter criteria the title is not corect or i'm did not understand this. could some one help me please?